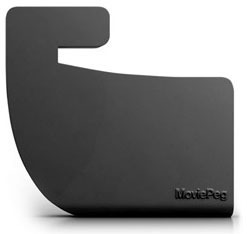 MoviePeg™ for iPad is a simple yet elegant portable stand that lets you watch movies on your iPad wherever you are. 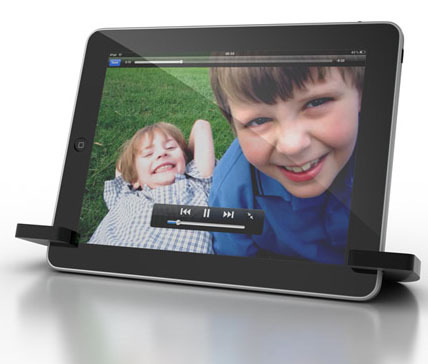 Made from a material called Thermo Plastic Elastomer (TPE), it is flexible and recyclable. 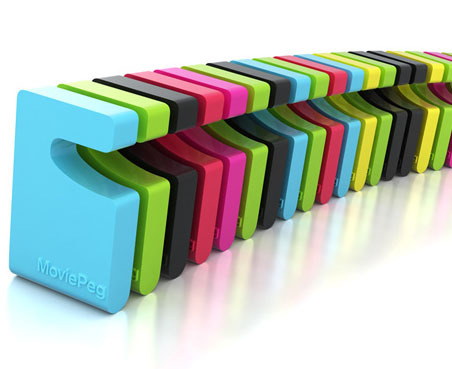 The MoviePeg™ is also available for the iPhone.